Your company’s success depends on several factors, but none more critical than hiring the right people. Once upon a time, managers figured all they had to do was post the vacancy and wait for the resumes to roll in. Today’s smart manager knows competition for top talent is fierce and understands the important role company culture plays in attracting the best applicants. Giving prospective candidates a real-time look at your company’s character is one of the best ways you can draw applicants who are not only qualified, but who will fit right in. Social media platforms like Facebook, LinkedIn, and/or Twitter can provide an excellent showcase, but knowing what to do … and what not to do … is key. “Know thyself.” That’s where your social media program has to start. Before you post, you need to pinpoint what makes your company culture appealing. Start by getting an employee’s eye view of your company culture. Chat with the folks who work for you to find out what they like best about where they work and who they work with. employee accomplishments, personal and professional. 2. Don’t Go Off Half-Cocked. You Need a Plan. The shotgun, seat-of-your-pants approach to social media never works. You have a business plan and a marketing plan, now you need a social media plan. Decide on the where, what, and when. 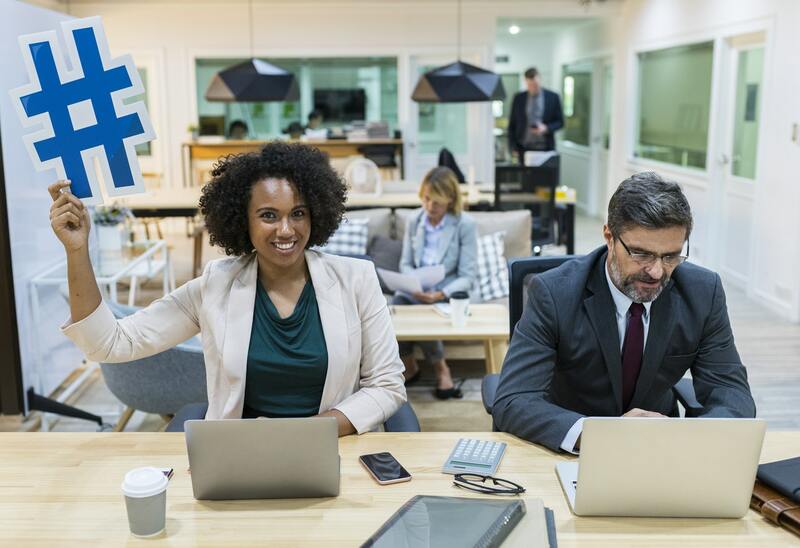 When it comes to business, all social media platforms are not created equal—effectiveness often depends on your specific industry and the message you want to send. Obviously, you don’t have time to post everywhere, every day. Fortunately, you don’t have to. If your goal is to share your company culture with an eye to attracting top talent, you can craft a solid plan focusing on a few well-chosen platforms. Facebook, LinkedIn, and Twitter have proven track records. If you want to recruit from the younger set, you might try Instagram. Whichever platforms you choose, be consistent. No need to post every day, you can be effective sharing a few times a week. If you plan ahead, creating your posts won’t turn into a time-consuming headache. Celebrate employee accomplishments, both professional and personal, internal (Employee of the Month) and external (industry awards). Post a thank-you to an employee for his/her contribution or years of service. Encourage employees to share their own stories about what it’s like to work for your company. Brag on your workforce. Boasting about them will make current employees feel appreciated, as well as attract potential talent. Your brand is already personal. Sharing your company culture on social media makes it human. This is where you get to show the world your people and aspects of your company that may not appear on your website or in official correspondence. Social media platforms help you build relationships by starting conversations instead of merely presenting one-way content. You can loosen up a bit on social media, create content that’s fun and inviting to send the message that the work you do isn’t dull and dry. Try a little humor. The right kind of humor—i.e., relevant and respectful—makes you seem more approachable. It gets attention and makes both customers and prospective applicants want to know more about you and what you do. You don’t have to spend long on social media to get the point. Videos are where it’s at. Check it out: social video gets 1200 percent more shares than text and images combined. Seriously, why wouldn’t you use video to share your company culture? Words have so much more power when you can see the storyteller’s face. A video of your latest construction project or office softball game brings your company alive in a way nothing else could. Video everything! Let prospective talent vicariously experience your holiday parties, strategy meetings, volunteer efforts, and product launches. Post videos of retirement parties, work anniversary celebrations, and ribbon cuttings. Bottom line, given the competitive hiring culture in our connected society, you can’t really afford to ignore social media. There is simply no better, more comprehensive way to present your company as the place where topnotch employees want to work. Jen McKenzie is an independent business consultant from New York and writes extensively on business, education and human resource topics. When Jennifer is not at her desk working, you can usually find her hiking or taking a road trip with her two dogs.